Go here to register online for the tournament. Maximum number of players is 48 so please sign up early! Qualifying match play rounds start at 10:30am and continue until 9:00pm or until all finals slots are filled. Finals on Sunday, September 30th starting at 10am. Points will be awarded based upon performance on that machine (3/2/1/0) and added to a running total for the tournament. 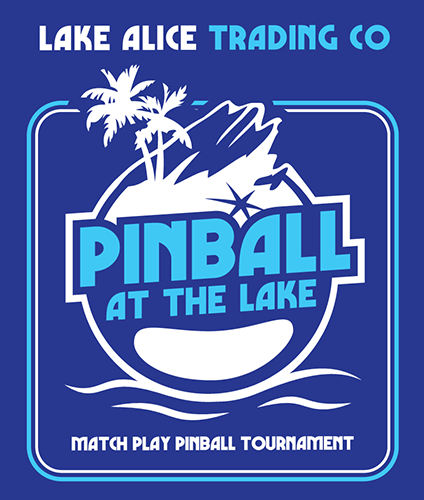 A player qualifies for finals by reaching or passing a target value of 25 points at which point the player no longer competes in the qualification rounds. Match play will continue until all available finals positions are filled. If the time alloted for match play expires prior to filling all finals positions, the remaining positions will be filled based upon rankings tabulated at the conclusion of the final match play round. Top 8 go to "A" finals, next 8 go to "B" finals. If we have 40 or more players the top 12 will go into "A" finals. Players with WPPR rankings 1-250 will be restricted from playing in "B" finals. Players that placed 1st in "B" for 2016/2017 will be restricted from playing in "B" finals. 4 Player groups with the same scoring as the qualification rounds (3/2/1/0).